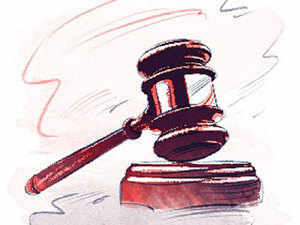 The Supreme Court on Tuesday frowned on the practice of the state governments appointing favourites as acting DGPs on the eve of their retirement, so that they could have a two-year tenure beyond their retirement age at 60. This practical problem was pointed out to the court by Attorney General KK Venugopal. “Officers on the verge of retirement are being appointed by states so that they can have a tenure of 62 instead of 60,” Venugopal told a three-judge bench led by CJI Dipak Misra during the course of a hearing on the pace of police reforms in states mandated by the court. CJI Misra agreed with the stand that states cannot not just appoint their favourites as acting DGPs. “What is this (appointing) acting (DGPs) business?” he demanded to know. States must refrain from appointing acting DGPs, he said. He, instead, insisted that the states must appoint officers who have a minimum tenure of two years to retire as DGPs. Activist lawyer Prashant Bhushan, appearing for PIL petitioner Prakash Singh, said states have been flouting the court order, which directs the UPSC to shortlist three eligible candidates for the post and the state to pick out one from the list. States, he contended, have been appointing their own officers bypassing the UPSC. He suggested the court insist that state governments go through the UPSC selection way so that this practice could be curbed.